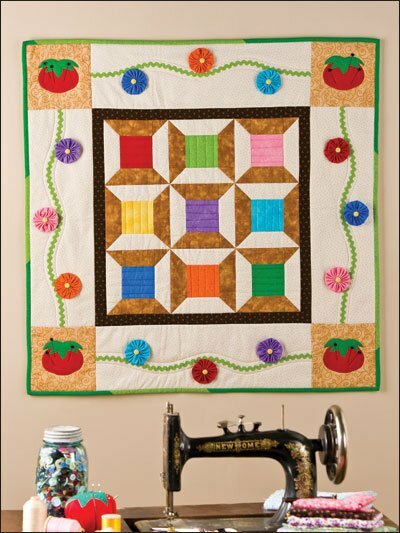 In this free quilting pattern, sunny yo-yo flowers and appliqued pincushions border quilt blocks that look like spools of thread. It's the perfect addition to your sewing room wall! Like the happy design, but want to display this wall quilt in another room? Use the alternative flower motif to add a cheery touch to any room's decor.